We offer the following programs for your review. These programs are designed for 2.5 – 4 hours of instruction and have been researched to comply with current fire service text and standards. This three (3) hour classroom and hands-on Mayday radio communication course will familiarize firefighters, company officers, and command officers with best practice communication procedures and methods specifically designed to assure the efficient rescue of distressed firefighters. Specific components such as command actions, culture of the mayday message, calling the mayday, state and national standards/regulations, building evacuation, PAR, and the actions required of the mayday firefighter will be discussed. Emphasis will be placed on the development, awareness, and use of department wide standard operating guidelines designed to ensure the effective use of these procedures and Rapid Intervention Crews in the mayday environment. The closing section of the course will include hands-on Mayday radio communication scenarios utilizing individual firefighters, company officers, and Incident Commanders from the local fire department. This program was designed and presented for the South Carolina Firefighters Conference. Since that time it has been presented throughout New Jersey for numerous fire departments as well as the NY State Fire Chiefs Convention. Fires in below grade areas create a multitude of dangers for responding firefighters many of which have been directly linked to multiple firefighter fatalities and injuries. Using information generated from recent UL and NIST studies, in-depth reviews of the hazards associated with these incidents and an analysis of the development and implementation of cutting edge strategic and tactical action plans this program will convey to the attendees the knowledge, skills and abilities required to address these unique and dangerous incidents in a safe and effective manner. “It’s in the Basement” are four words that should make everyone on the fireground immediately rethink their actions. This program has been successfully presented for Kean University / NJ Division of Fire Safety and for fire departments throughout New Jersey. The increased market for affordable homes across the country, has compelled developers to move toward constructing large scale Townhouse style housing developments. History has proven that fires in these lightweight wood constructed developments are unlike any other structure fire we respond to. The materials and methods used in constructing these massive complexes, limited access and egress, collapse potential, inadequate fire protection, and increased life safety issues are all game changers that significantly alter the common strategy and tactics fire departments employ at routine private dwelling fires. This program will take an in-depth look at the fire problems and hazards associated with these structures and offer some valuable fireground information on size up, incident management, pre-planning, strategy and tactics, and firefighter safety. This program has been successfully presented for Kean University / NJ Division of Fire Safety, the NY State Fire Chiefs Convention, Firehouse Expo and is scheduled to be presented at Firehouse World in 2017. The most common and hazardous structure fire related responses are to fires in Private Dwellings. To ensure the safety of firefighters operating at these incidents and achieve our goal of applying a coordinated fire suppression attack we must be structured to initiate rapid and effective strategy and tactics on arrival. To prepare both firefighters and company officers in completing this task, this program will discuss the many variables to be considered when implementing successful fire suppression operations in private dwellings. Topics to be covered include; Construction and style types, size-up, typical hazards, forcible entry issues, search techniques, ventilation, and fire attack methods. The program will also include interactive group sessions utilizing first due video and photos where the attendees will have the opportunity to assume command, formulate an initial action plan, and implement their chosen strategy and tactics. This program has been successfully presented for Kean University / NJ Division of Fire Safety, and the NY State Fire Chiefs Convention. The primary mission of the first arriving Incident Commander at a structure fire is to conduct a rapid and accurate street wise size up of the fire scene that will furnish the information necessary to build an effective incident action plan. In order to complete this task the IC must take into account a number of dynamic fireground factors from arrival through termination of the incident. Using the classical and cue based decision making processes, the concept of risk assessment, and the Fire Service “Rules of Engagement” as a foundation the instructors will provide the students with an interactive forum designed to move through topics such as the initial size-up, command structure establishment, building intelligence, strategy and tactics, operational orientation, progress reports, RIC usage, first due, initial radio reports as well as progress reports and emergency radio communications, accountability, and post control activities. In addition, by utilizing first due video and fireground photography the instructors will employ scenarios using “real time information” that will challenge the student’s ability to rapidly develop, support, and justify an effective incident action plan consistent with the fireground factors identified above and their personal knowledge, skills, and abilities. This program has been successfully presented for Kean University / NJ Division of Fire Safety, the NY State Fire Chiefs Convention and throughout New Jersey. Along the changing landscape of our response districts, the many once beautiful and architecturally pleasing main street shopping areas have been replaced with more modern Strip Mall type buildings. The proliferation of these structures within our communities has created additional hazards for our personnel and forced a revision in our standard fire suppression operations. Fires in Strip Malls are unlike any other structure fire we respond to. The type of construction, interconnected occupancies, diverse occupancy types, and the potential for a lack of access to all sides of the structure all play a vital role in altering our normal structure fire strategy and tactics. To enhance our ability to safely and effectively operate at fires within these buildings, this program will take an in-depth look at the fire problems associated with these structures and offer some useful information on size up, safety, pre-planning, and fire attack methods. As many current and aspiring company officers are aware, being in the position can be a lonely, ugly, and dark experience if you are unprepared and unable to acquire the precise leadership competencies required of the rank. During your career you will face a multitude of unique fireground and personnel related challenges each and every day you step into the fire station. In order to develop the talents required to tackle these difficulties and cultivate individual firefighters or “followers” into effective team members capable of operating on the fireground and surviving in the station, officers must become thoroughly familiar with a number of supporting people skills and leadership traits essential to the process. Using an interactive forum based on years of experience as company and chief officers, case studies, and videos, the instructors will discuss several fireground and administrative based leadership styles, traits, and learned competencies they have applied during their careers that have allowed them to build successful teams and organizations. Focus will be targeted to positive leadership styles, such as transformational, situational, and servant, which support collective based methodologies and foster team building, shared vision, respect, empowerment, honesty, discipline, loyalty, competency, and operational and organizational excellence. The importance of the beneficial concept of emotional intelligence will be reviewed, and students will learn how acquiring the ability to implement this philosophy can be used to reach individual and group goals in any work environment. While many of us wish the days of “because I said so” leadership still thrived in the fire service, the reality is that we will never see those times again. Today’s employees are smarter, more communicative, better educated, socially adept, and inquisitive. This dynamic, group based discussion on how to become the type of company officer that is capable of surviving in today’s fire service leadership world will help you turn one man’s trash into your gold! This new interactive program will be presented at the NY State Fire Chiefs Company Officer Leadership Training and the NY State Fire Chiefs Convention program in 2017. Rapid Intervention Teams are the most significant, readily available fireground resource utilized to enhance the safety of firefighters operating at emergency incidents. Once the Incident Commander has the RIT established on the fireground what are the roles and responsibilities these firefighters need to execute? This program will provide a fireground needs assessment of RIT operations for the Incident Commander and specifically provide all members operating on the fireground with an awareness of the who, what, when, where, and how a RIT team is developed, staffed, and deployed. RIT composition, tool assignments, operational responsibilities, size-up, common terminology, and post-incident analysis will be addressed in detail. Emergency control of radio communication channels, mayday, and urgent messages and their relationship to RIT operations will also be discussed. In addition, this program will provide fire service instructors with a recognized guide to utilize in preparing their departments to gain the knowledge and skills required to achieve RIC Awareness. This program has been successfully presented for Kean University / NJ Division of Fire Safety, the State of Utah Fire and Rescue Academy, and the South Carolina State Firefighters Convention. This program has been presented for Kean University / NJ Division of Fire Safety, Firehouse Expo 2007, FDIC 2005, 2006; the State of Utah Fire and Rescue Academy Summer and Winter Fire Schools 2007 & 2009, North Suburban (MN) Regional Mutual Aid Association, NY State Fire Chiefs Conference, West Metro MN, the Central Maryland FOOLS Conference, IAFC- Fire Rescue International 2009 – 2011, as well as various fire academies and fire departments throughout the state of New Jersey. Fires in Garden Apartments and Townhouses are unlike any other structure fire we respond to, the complex of buildings, the interconnected structures , the lack of access to all sides of the structure all play a vital role in altering our normal structure fire strategy and tactics. This program takes an in-depth look at the fire problems associate with these structures and offers some useful information on size up, safety, pre-planning and fire attack methods. The target audience for this program includes all firefighters and officers that may respond to an incident in a large complex of inter-connected residential structures. With land values increasing the market for affordable homes, developers are turning large scale housing developments to reap the most benefit for their dollar. These developments are sprouting up in all areas of the country as the population and job markets grow. Whether they be Garden Apartments, Townhouses or Condominiums that are being built in your community, it is imperative that the members that may respond be aware of the construction flaws and hazards associated. This program will point out the many design flaws and construction weaknesses that firefighters and officers need to be aware of. This program has been presented at the FDIC, FDIC and FDIC West, Firehouse Expo, the State of Utah Fire and Rescue Academy Winter and Summer Fire Schools, the Central Maryland FOOLS Conference, NY State Fire Chiefs Conference, the International Association of Fire Chiefs Fire Rescue International Conference in Atlanta, GA, and for the Yantic CT Fire Department as well as many fire academies and fire departments in the New Jersey. This program has been successfully presented for the New Jersey Division of Fire Safety Spring and Fall 2012 Training Semester, at the State of Utah Fire and Rescue Academy Winter Fire School, and at the International Association of Fire Chiefs Conference in Dallas, TX Chicago, Il as well as in Yantic CT. Accountability in the fire service is nothing new. The problems are significant enough that when mentioned at a meeting or drill a lengthy discussion follows. The most critical time on the fireground is the first twenty minutes, when resources may be light and command officers still enroute, this is when accountability must be strictest. Maintaining crew integrity is the most effective means of tracking our firefighters. The target audience for this program includes all members that may operate on the fireground inside of a structure or in an IDLH atmosphere. This program will detail the use of Rosters, Radio Assignments, Rolls Calls and Riding Assignments as a means of tracking all members operating at an incident providing command officers a strategic plan for the safe and effective deployment of firefighters. This program has been presented at the Firehouse Expo in 2008 and 2009, the State of Utah Fire and Rescue Academy Summer Fire School in 2008, and Winter Fire School in 2009, Firehouse Expo and at the Fire Department Instructors Conference. Conducting a primary search is undeniably one of the most hazardous tasks assigned on the fireground. It is an inescapable principal mission through which firefighters safely accomplish our acknowledged number one fireground priority of rescuing trapped occupants. Over the past several years the how, when, and why we conduct these searches and the level of risk that firefighters take during the operation has become a focal point of fire service discussion. Phrases such as risk vs gain, victim survivability, transitional fire attack, and a number of recent scientific studies have clouded the fire services attitude and focus toward completing this core fireground objective. In an attempt to recapture our perspective of how we can complete safe and aggressive building searches this program will discuss several operational elements including the importance of conducting an interior firefighter based scene size-up, how knowledge of building design and construction can assist searching firefighters, the significance of situational awareness and risk vs gain, balancing firefighter safety with aggressive search tactics, and how training and experience will influence an individual firefighters ability to complete this dangerous assignment.. 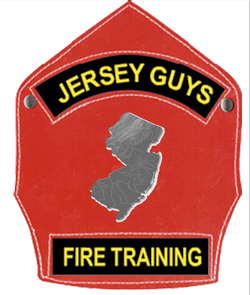 This program has been presented for the State of new Jersey Division of Fire Safety/ Kean University and the Connecticut State Fire Academy, as well as in many fire academies and local fire departments in New Jersey. The primary mission of engine companies is to aggressively extinguish fires in a rapid, safe, and efficient manner. Getting “down and dirty” is an excellent way to describe the actions involved in completing this vital fireground responsibility. In order to accomplish this task, engine companies must consist of disciplined, highly skilled, and knowledgeable firefighters who embrace and employ a team oriented performance model to complete their objectives of fire suppression, civilian protection, and ensuring the safety of their brother firefighters. This course is designed to provide firefighters with a broad knowledge of basic everyday engine company fundamentals including, but not limited to, incident size-up, building construction, strategic and tactical considerations, team positions, water supply requirements, stretching initial attack lines, line selection, standpipe operations, and use of master stream devices. The instructors will deliver this knowledge and information through the use of a multi-faceted power point presentation, video, and several scenario based strategic and tactical group assignments. This is a new program that follows the same course of instruction as the Back To Basics Ladder Company Operations program; this program was successfully presented in January of 2009 at the State of Utah Fire and Rescue Academy Winter Fire School, the Heart of America Fire Chiefs Association and the North Kansas City Fire Training Seminar. This program will be a fresh look at the basic roles and responsibilities of the Ladder Company on the Fireground, and the key factors creating a safe and effective operation for those members assigned these tasks. Whether there is a first due ladder on the scene or a Rescue company fulfilling these basic duties, the same incident priorities and mandatory assignments must be addressed. By dissecting the acronym L.O.V.E.R.S.U. into Ladders, Overhaul, Ventilation, Rescue, Salvage and Utility Control, and utilizing interactive discussion concerning the how, why, where, and when each of these operational tasks need to be performed. The session is designed to provide attendees with key elements and information concerning the basic truck company roles and responsibilities they are required to perform at every fire incidents. In addition, structural size up as it relates to Ladder Company Operations as well as Apparatus placement and positioning for maximum benefit will be discussed. This program has been presented for Kean University / NJ Division of Fire Safety during the NJ State Firefighters Convention at the Wildwood Convention Center in September 2008, State of Utah Fire and Rescue Academy Winter Fire School 2009 and the New England FOOLS Winter Training Seminar at Maine Fire Services Institute, the Heart of America Fire Chiefs Association and the North Kansas City Fire Training Seminar.